What are the Instructional Goals of Each Level of CAPIT? CAPIT Reading Levels 3 & 4 have been written and tested, but not programmed. We reference them on our site under Scope & Sequence. Levels 1 & 2 together make up our Kindergarten program as they cover all Kindergarten as well as many 1st Grade Foundation skills. CAPIT Levels 3 & 4 is our 1st Grade and 2nd Grade Program. Students learn the sounds (phonemes) associated with the Lowercase and Uppercase letters. British Fish made a quick dash. British Fish ran in a flash. British Fish hid under a bed. British Fish hid in a shed. British Fish ran in a rush. British Fish hid in a brush. British Fish hid in a well. British Fish hid in a shell. British Fish hid under three ships. British Fish hates Fish and Chips. A turtle is not a bird or a mammal. A turtle is a reptile. A snake is also a reptile. Turtles have a hard shell. This shell is like a home, except it travels with them when they walk. It helps them survive by sheltering them. It is like a shield. Turtles crawl very slowly. Lucky for them, they can live for over fifty years. Sea turtles generally live up to eighty years. I like to eat rye bread. Rye is a grass that grows like grain. Rye is like wheat, barley, oats, and spelt. Rye grain is used for flour, rye bread, and fresh bread. Rye is a little bitter. Pablo Picasso was a Spanish artist. He was born in Spain in 1881. Picasso was one of the inventors of a new art technique called “collage.” In a collage, the artwork is made by assembling different parts into a new whole using glue. A collage may include handmade papers, newspaper and magazine clippings, paint, ribbons, even photographs. They are then glued to a paper or canvas. Pablo Picasso was one of the greatest artists of the twentieth century. Engines are truly amazing. Cars, trucks, and trains all have engines. Karl Benz invented an engine that was light and powerful. He lived in Germany about a hundred and fifty years ago. Do you know how an engine works? It’s very complicated. Karl Benz was an engineer. Engineers know how to build and fix all types of engines. Engines are also called motors. Does CAPIT Levels 1 & 2 Cover Enough Vital Components of Reading to Make it a Viable Purchase? 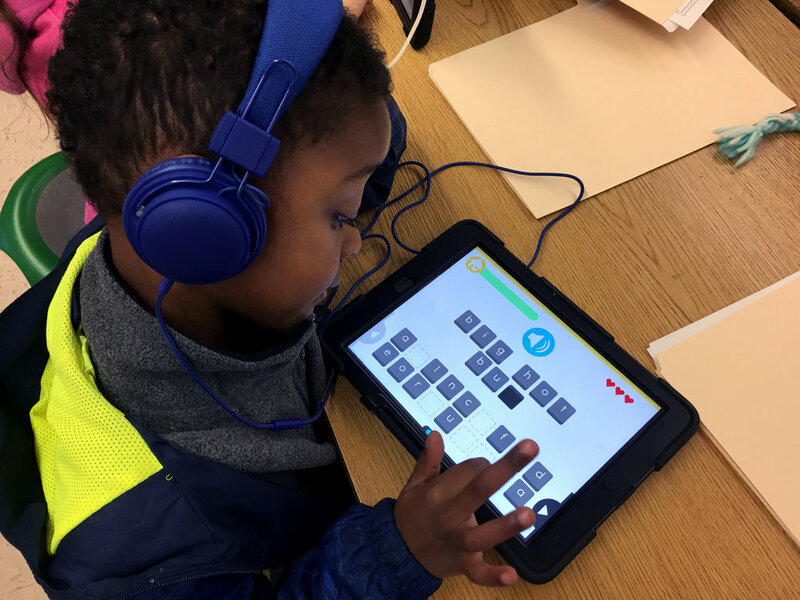 Schools and districts are currently implementing CAPIT in Transitional Kindergarten (TK), Kindergarten (K), and some 1st grades (because our Level 2 program covers first grade standards) for full classroom implementation and use it for RTI, SPED and Newcomer classes with older struggling readers (Grades 2-5). Is CAPIT a Fit for Older Struggling Readers? If a student cannot associate the sounds with letters (uppercase & lowercase), he/she can benefit from CAPIT Level 1. And because CAPIT is not a game, older struggling students feel comfortable using it. They don't feel like they are using a childish app. Can CAPIT Be Used Independently by Students Without Direct Instruction? We know it is not optimal, but some teachers will use the program entirely as independent work. Can we sell it to them? Teachers cannot put students on CAPIT and let them use it independently. Let us be very specific because it is vital that we are clear what CAPIT is, and why it gets results when teachers implement it appropriately. CAPIT is not a GAME, and CAPIT is not ADAPTIVE. Then "What is CAPIT?" 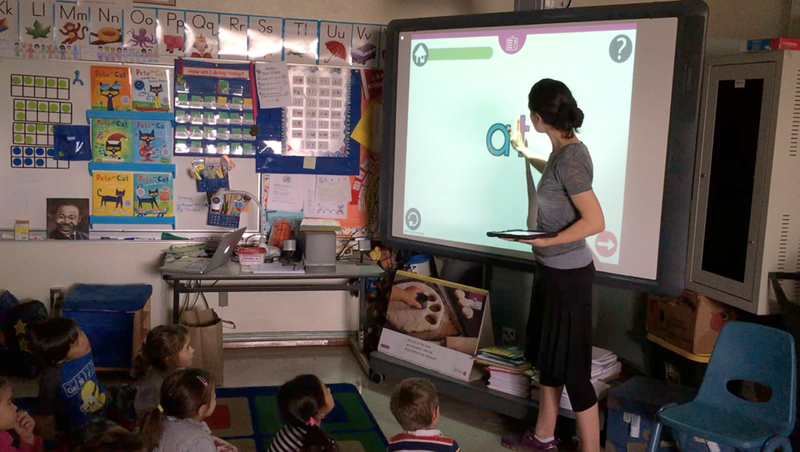 CAPIT is a Phonics Curriculum that the teacher uses to teach her students how to read. Researchers refer to this as: "Explicit Systematic Phonics Instruction." Therefore, CAPIT cannot be "totally independent for the students without direct instruction." CAPIT will not work in any other model. But, here is the good part: Schools that implement CAPIT properly see their scores rise, their kids engaged, and their teachers happy, because we put a curriculum in their hands that practically does the teaching for them. Nonetheless, as the year goes by, most students will become more independent when working with CAPIT. But this takes time and patience on the part of the teacher. One last point: Because CAPIT is a curriculum that teachers actively use to teach their students, teachers become dependent on CAPIT, and the CAPIT curriculum will get high usage. These two factors together ensure that teachers, schools, and school districts will bring CAPIT back year after year. Can Teachers Implement CAPIT Using Shared Devices? Teachers have shared with us some Best Practices for implementing CAPIT Reading with shared devices. Feel free to share these out with future schools. What are the Protocols When Schools Encounter Technical Difficulties with the Product? And is CAPIT Equipped to Handle Technical Difficulties? It is critical that you show teachers how to contact CAPIT directly should they encounter technical difficulties with our product. Teachers can reach us via email or phone. We can resolve most issues quite quickly, but every so often teachers (and students) encounter glitches that can cause much-unwanted frustration. The sooner we help them, the better. We respect the relationship resellers cultivate with schools, and we will be happy to keep resellers in these conversations if requested to do so. But schools must never delay in contacting CAPIT when they require technical support. What Does the Rep Onboarding and Training Entail? Hour 1: CAPIT Demo: the CAPIT App and Teacher Portal. Hour 2: Go through the Teacher Onboarding together. Hour 3: Go through our Sales Demo + marketing, pricing model, PO details + Google Folder that contains our files (marketing, pilot documents, etc.). Is There a Program Presentation Deck? We have a detailed and thorough CAPIT Demo that we will share with all Reps during your onboarding. You will be able to use it in your sales demonstrations. 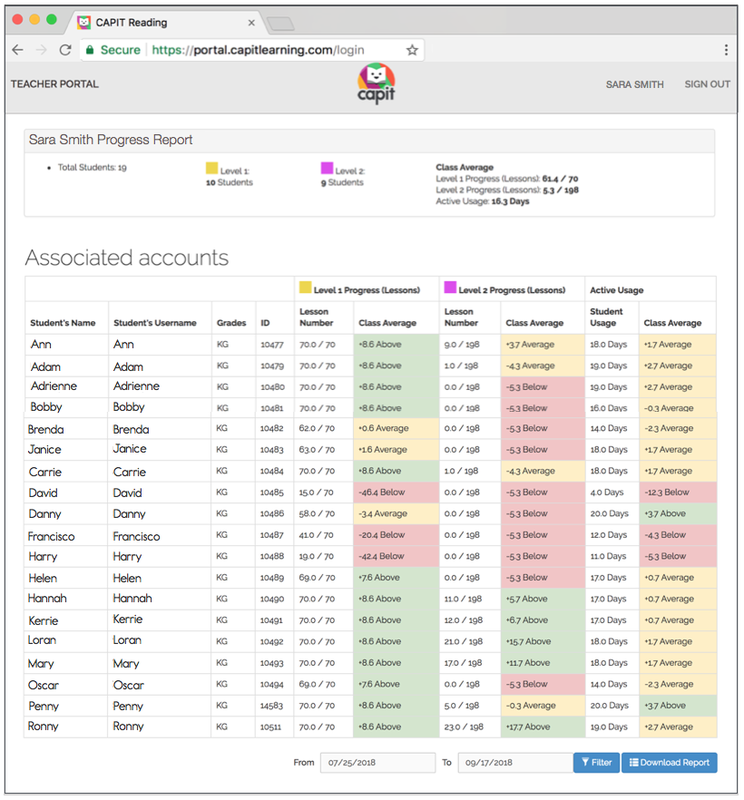 Can Reps Get Access to a Student and Teacher Demo Account to Learn More about CAPIT? We provide each Rep with an account. What Type of Marketing Can Be Expected of CAPIT? We have a dedicated marketing budget. We typically engage in email marketing, Facebook, and attend a few conferences a year (ILA, FETC, CUE, etc.). What Type of Marketing Materials Does CAPIT Provide? We have flyers and tri-folds to share. We are also happy to work together and develop new ideas/materials with your team if appropriate. Can Students Access CAPIT at Home? Students cannot access CAPIT Reading at home as that would invalidate our analytics (Progress & Usage) because we cannot monitor who is working on the device at home (among other reasons). We provide another iOS app called CAPIT Books for the students to work at home. CAPIT Books is not linked to the Teacher Portal. It is available for free to all schools and districts that purchase CAPIT. CAPIT Books allows students to work on their decoding skills and collect books. It supports what they are learning in the classroom. We have a flyer written in both English and Spanish that teachers can send home. It explains to parents how to download CAPIT Books. Does CAPIT have Flyers and Printables to Involve Parents at Home? We have many downloadables. They are available free of charge. CLICK HERE to see our Product Details. We also have a CAPIT Books app. CLICK HERE to learn more. How Does CAPIT Calculate Student Usage? If a Student Completed a Lesson, it is Considered One Day's Usage. Do Two Lessons in One Day Count as Two Days? We have an FAQ for this one. In short: A Day is a Day! We want students to use CAPIT every single day. We also collect student progress, meaning, how many lessons they completed, and teachers can see each day how many lessons a student completed if they filter to specific days. Does CAPIT Have a White Paper? Is CAPIT Aligned to the K-2 Foundational Skills Reading Standards? CAPIT Reading is a supplementary reading program that is easy to implement alongside any ELA core curriculum. CAPIT Reading covers many of the Common Core State Standards, and in some ways far surpasses them. To learn how CAPIT Reading aligns to the CCSS click on the button below. How Do Teachers Use the Data in their CAPIT Teacher Portal to Help Drive Instruction? We have an FAQ for this one. In short: In a single glance, teachers can view individual Student's Progress & Active Usage and compare it to other students in their class. Yellow indicates an average student. Green indicates an above average student. Red indicates a below average student. How Does CAPIT Teach Penmanship? The CAPIT app shows students how to form each letter using our unique Visual Mnemonics (we have a Patent for this system). Aside from this, we have two FREE downloadable books for schools and district that purchased a CAPIT license. These books match our app in that they teach handwriting using our Visual Mnemonics. CLICK HERE to see our product details. CAPIT offers pilots if schools and districts request it. We get paid pilots when possible. In the past, we charged up to $100 per teacher. But we respect your judgment on such decisions. When schools cannot commit to a payment, we push for a usage commitment. Does CAPIT Have a Simple Rollout Document We Can Share With Clients? How Does CAPIT Onboard Teachers? After teachers activate their CAPIT account, they complete a Virtual Onboarding. It covers everything they need to know to implement CAPIT Reading in their classroom. The Onboarding lasts roughly 60 minutes. Teachers need to complete it in its entirety in a single sitting. If they exit the onboarding before they finish, they will lose their progress. Does CAPIT Charge Extra for Additional Teachers? A Class license accommodates the teacher and all her/his students. Schools and districts can add an additional teacher if necessary (co-teacher, SPED teacher) at no extra cost. Schools and districts implementing CAPIT across grade levels in their early elementary classes may purchase additional RTI licenses for their older struggling students. Schools and districts can assign multiple teachers to RTI licenses at no extra cost. How Does CAPIT Compare to Another Program the School is Currently Using? From what we can tell, Imagine Learning does not focus exclusively on explicit phonics instruction but instead covers small bits of everything (language, vocabulary, comprehension, history, etc.). CAPIT, on the other hand, focuses specifically on foundational skills in kindergarten and 1st grade. Our focus on phonics is our strength. It has verbal instructions and therefore requires translation into various languages to accommodate ELL students. CAPIT is a Teacher-Led Phonics Curriculum. What makes us different is that we are a curriculum, not a game that kids play for 30 minutes to strengthen their skills. If a school is looking to improve its students' foundational reading skills, that is what we bring to the table. We deliver a curriculum to the teacher that empowers her to teach phonics and give her students the ability to progress at their own pace using our competency-based digital platform. We also provide teachers, schools, and districts the ability to track where their students are holding on the phonics continuum and use this data to help drive instruction. In short: CAPIT is not a game; has no virtual world; no extrinsic rewards; does not exclude the teacher; and has no “verbal instruction,” thus accommodating ELL students out-of-the-box.